NFL owners nearly tripled the commissioner’s compensation in the 2011 tax year and likely made Goodell the best paid commissioner in U.S. sports. 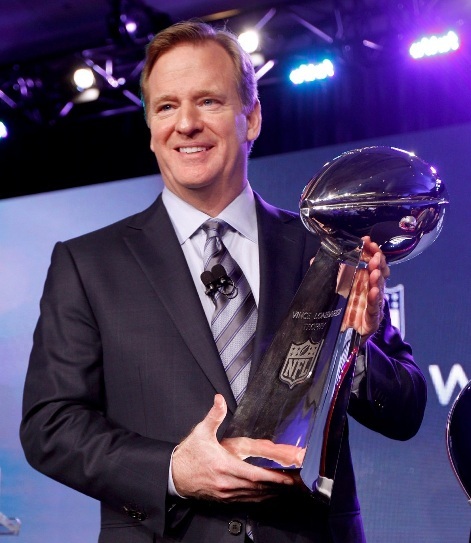 According to the league’s most recent tax return, much of Goodell’s pay comes in the form of a $22.3 million bonus. His base pay was $3.1 million. The NFL was scheduled to file the return Friday. To read the article, click here. Tags: NFL, Roger Goodell, Salary. Bookmark the permalink.